The Mason and Flint Street neighborhood is a mixed-use neighborhood that acts as a transition from the industrial scaled parcels along the North River to the residential streets surrounding Mack Park. The Mason and Flint Street neighborhood was placed on the Most Endangered List in 2009 due to continual threat from inappropriate development, despite its inclusion in the North River Canal Corridor zoning overlay district. The potential for unsympathetic and over-scaled development renders this area endangered. Despite the existence of the North River Canal Corridor zoning overlay district nearly every proposed development in this area requests, and is often granted, variances that do not respect the scale and massing of either the existing buildings or the goals of the NRCC. In 19th century, engineers filled in parts of the North River to creating a canal with filled land along its banks. This was used to improve disposal of wastes from the various tanneries and mills that had developed along the river corridor (formerly known as the Blubber Hollow area). These uses and their buildings have been largely abandoned but the neighborhood surrounding them, particularly Mason and Flint Streets, continue to act as a transition area from industrial to the finely scaled residential streets surrounding Mack Park. The industrial buildings and surrounding neighborhoods are considered eligible for inclusion on the National Register of Historic Places. Nearby is the site of Leslie’s Retreat; over the last ten years the North River itself has been substantially enhanced by the development of the Leslie’s Retreat Park along its banks. Since 2000, Historic Salem has listed the industrial buildings on the North River as endangered. Adding the Mason & Flint Street neighborhood extends the scope of HSI’s concern into the residential ares of North Salem. While Historic Salem has worked with the developers and City Boards to improve the building and site design of recent development proposals the sheer scale of these projects represent a potential threat that cannot be mitigated by cosmetic design changes. 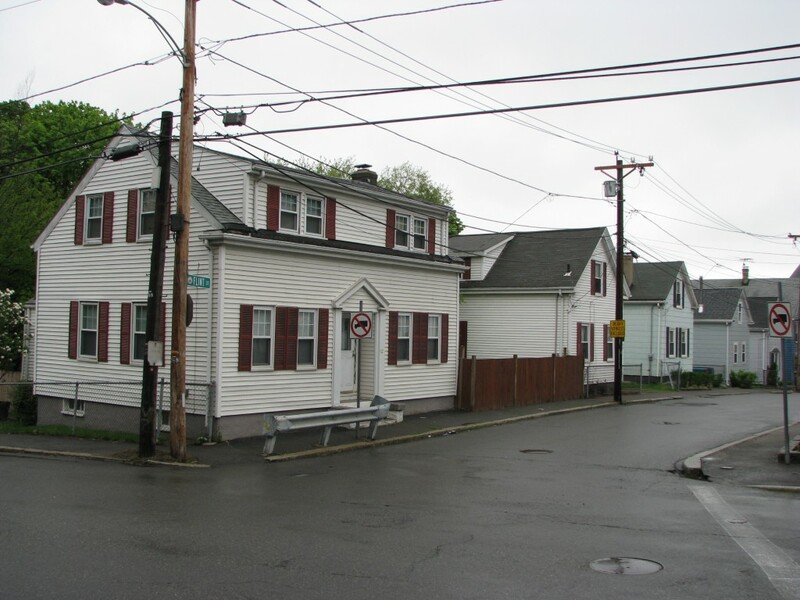 This neighborhood was listed consistent with Historic Salem, Inc.’s mission to protect historic resources throughout the City with the hopes that HSI can successfully work with these neighborhoods. Our goal is to promote recognition and preservation of the historic resources and encourage high quality, compatible development and increased investment in historic resources. The most pressing threat in this area is the proposed project named “Riverview” on the site of the Salem Suede-Bonfanti site. The scale of this project is dramatically larger than outlined in the North River Canal Corridor master plan. It required a variance for density far and above the allowed, and will increase traffic on narrow streets already saturated with vehicular traffic. If this project, which is on hold pending environmental clean up, proceeds it will, in addition to vastly affecting the quality of the surrounding parcels, set an unfortunate precedent for development on both sides of the North River. The North River Canal Corridor (NRCC) Neighborhood Master Plan and the zoning ordinance enacted in 2005 were specifically created to encourage redevelopment of this area for mixed commercial and residential uses in keeping with its historic character and the scale of the adjacent neighborhoods. Historic Salem participated in the five-year process that resulted in the Master Plan and zoning changes because it is our mission to ensure that new development complement existing historic fabric. We felt that the resulting master plan and zoning ordinance balanced development needs with protections of historic resources as a result of specific guidelines for scale in the parcels directly abutting existing neighborhoods. Unfortunately, since that time, zoning decisions on the north side of the river have allowed buildings of significantly greater scale than provided in the ordinance. In addition, in 2009, the City Council passed an ordinance that permits planned unit developments (PUDs) in the area, most notably at the Salem Oil & Grease site at the corner of Goodhue and Grove Street, potentially allowing big box stores and four story housing where not previously allowed.